Summary: What is the process for spaying a female puppy? Why should I have her spayed? We attempt to answer these questions. Having a female puppy spayed refers to having the ovaries and uterus totally removed. If a female dog is spayed before her first heat cycle, the chances of her getting breast cancer will be eliminated. Spaying also helps prevent occasional aggression and irritability that some female dogs experience during the dog heat cycle. You can generally have your puppy spayed around the six month date according to most vets even though recent research suggests waiting a little longer. However, you’ll want to consult with your vet regarding the timing of this procedure with your own dog’s sexual maturity and preparedness for being spayed. When a female dog comes into heat, she will have a bloody discharge. With some female dogs it is a mess and with others you will hardly notice the discharge. 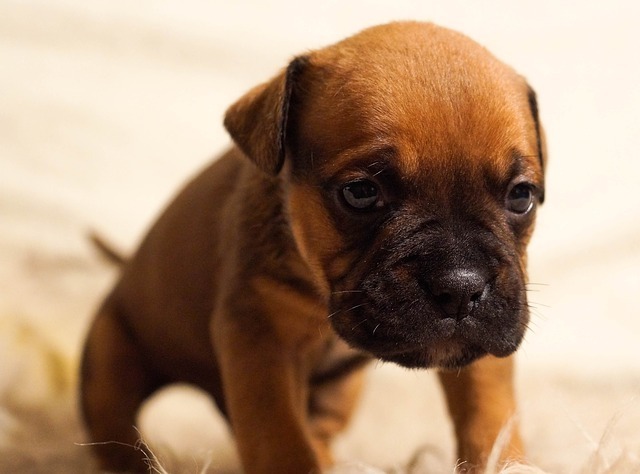 If you have your female puppy spayed, you won’t have to worry about blood stains on your furniture, bedding, or carpet. Having your puppy spayed will also make it so you won’t have to put up with unwelcome male dogs from the neighborhood that would come looking for her. Unless you have a lot of extra time, money, knowledge and a dog with outstanding characteristics it would be wise NOT to breed your dog. Spaying at an early age is also a wonderful solution to the over population of dogs. There really is NOT a good reason to not have your puppy/dog spayed or neutered. Many Humane societies offer a spay or neuter clinic at a reduced rate. The procedure is affordable and available. The cost of the surgery is definitely less expensive than raising pups and paying for the additional medical and food bills that neutering or spaying could have prevented. Their is recent research that indicates that females should be about 2 1/2 years old before being spayed. It helps with their health. However, there is also research that indicates that having her spayed before her first cycle is better. I personally believe it’s better to wait and allow her to develop more. It all depends upon your situation and what your veterinarian recommends.